Our restaurant is open from mid-June until mid-September. Open 6 days a week, for breakfast and dinner (closed on Tuesdays). 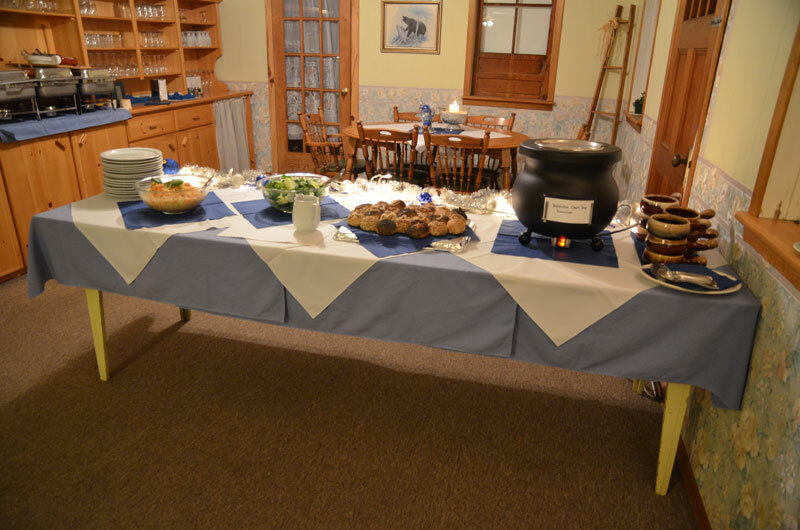 Check out our meal packages when booking a cottage or motel! 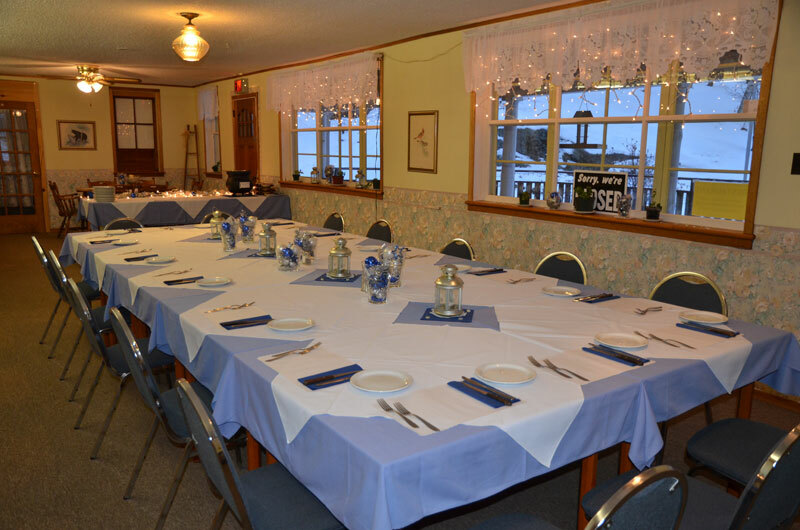 Our menu features a variety of our favourite homemade Swiss dishes. Every meal is guaranteed to be freshly prepared in house by our Swiss chefs. 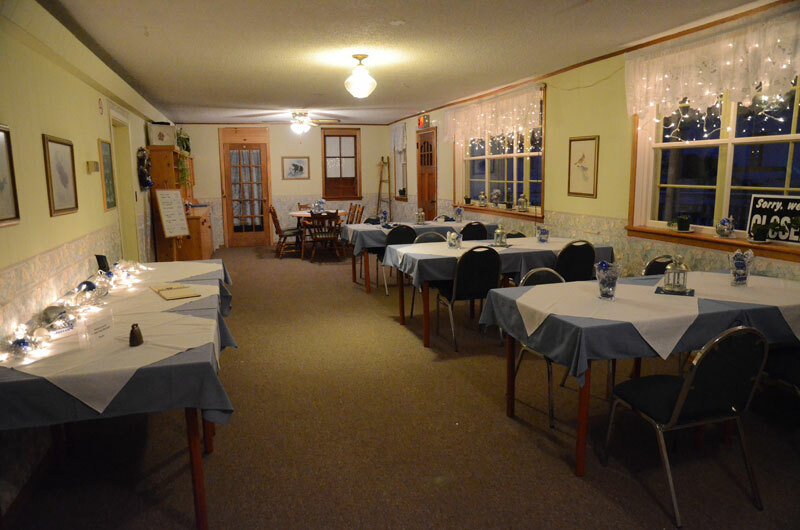 Friday nights spots are limited for our legendary Fish Fry. 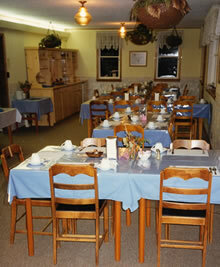 The famous buffet (fried fish, freshly prepared salads, baked beans and homemade desserts. Celebrate with us. 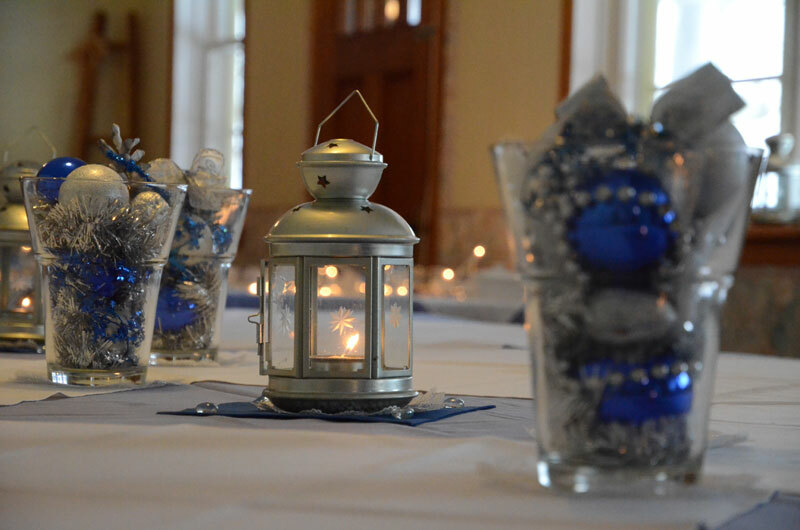 We can help to plan a special menu for your Birthday, Anniversary, Family Reunion or other event. You are welcome to contact us any time. Our restaurant is fully licensed by the Alcohol & Gaming Commission.